An estimated 25,000 cases of electricity theft, coupled with around 3,300 instances of gas theft, means energy theft is costing the UK around £500 million every year – that’s at least £20 per person, per year. The cost can be more than financial - 36 injuries and two deaths are caused every year as a direct result of energy theft – and you could be at risk, without even realising. To raise awareness of the problem, Crimestoppers is asking each of us to be ‘Stoppers not Spotters’ and urging anyone who suspects meter tampering is going on to use the stayenergysafe service, which offers a dedicated phone number and online form to pass on information about energy crime, in complete anonymity. Energy theft is a way of bypassing a gas or electricity meter so actual usage rates can’t be measured or recorded. Also known as ‘meter cheating’ (or abstracting electricity, in cases of electricity theft), techniques can be as crude as using pieces of hosepipe to bypass gas meters, and breaking off teeth from the cogs in meters to rig the readings, or as sophisticated as using a smartphone to reverse a meter, and even installing a spare meter to run in between the energy company’s readings. Criminal gangs have also been known to dig up streets to divert supplies, before charging households as much as £500 to connect to their illegal supply line. Who is at risk from energy theft? Everyone is at risk from energy theft - a recent study on consumer awareness on attitudes to energy theft estimated that 92% of people believe that energy theft is wrong and should be stopped, while 14% admit to having encountered some form of tampering – that may not sound much, but it actually equates to around three million homes. The report, released by Echo Managed Services and the Grosvenor Services Group, also found that 80% of us are not aware that energy crime hits us in the pocket, adding around £20 a year to the average energy bill. Encouragingly, over half of the people surveyed would report any incident without question, but only a small percentage have actually taken an action - although the stayenergysafe website has clocked up over 140,000 web visits during the past two years, the charity has received just over 5,000 reports of energy crime during that period. Speaking about the campaign, which is being supported by Gas Safe Register, Rodger Holden, Director at the charity Crimestoppers, said: “Energy theft is one of those crimes that people don’t think affects them, but that could not be further from the truth. “A tampered meter creates a huge safety risk that can lead to an explosion or fire – imagine it was your neighbour stealing energy – would you turn a blind eye? Although we all have to be vigilant, most cases of energy theft occur among small businesses, where margins are so tight they'll try anything to cut costs and gain an advantage over their competitors. Independent fast food takeaways are a good example of a buisness that might turn to energy theft, as they not only use a lot of energy, they're almost always in highly saturated areas, with a number of competitors literally on their doorstep. If the owners are also buying their stock from the same places as the other shops close by, and then selling it on as cheaply as possible, they might turn to meter tampering to cut costs to help them compete with their neighbours. Obviously, that's not to say all fast food outlets will be fiddling the gas and electricity meters, nor is it the case that it's a problem confined to small businesses - the UK Revenue Protection Agency (UKRPA), whose job it is to detect, prevent, and recover losses caused by interference with electricity and gas supplies, also come across a large number of households involved in meter tampering. In a number of cases, it's a collaborative effort between neighbours, and some will even place classified ads online to help people cut their energy bills. Those who steal energy are often living on the margins, and only do so because they are in a desperate situation. But UKRPA comes across many cases of theft from people who can also quiote comfortable afford their bills - it's a problem that spans all areas of society and all walks of life. Energy theft can seem like an easy option as, surprisingly, it doesn't take a great deal of technical knowledge to hook up an illegal meter or tamper with a gas supply - there are even DIY tutorials online - but there are massive dangers involved and huge penalties if things go wrong or for those who are caught in the act. What are the dangers of energy theft? Tampering with any gas supply is extremely dangerous and carries a high risk of causing a gas leak. If this happens, gas fumes can build up in a property and cause anyone inside to suffer headaches or even fall unconscious. The leaking gas is also highly flammable and can cause a huge explosion, resulting in massive property damage and death – and it takes something as innocuous as flicking a light switch to ignite it. 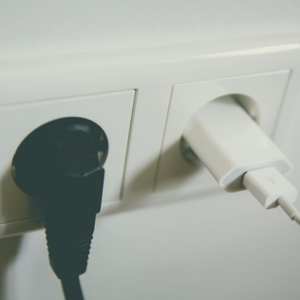 Interfering with a building’s electricity supply and wiring can make switches or appliances become ‘live’ to the touch and cause shocks, burns and even death by electrocution. It can also cause appliances to malfunction and catch fire. Exposed wires and connections can overheat and lead to fires that cause large scale property damage, and even total destruction and the death of anyone in there. Regardless of what anyone peddling meter cheating tells you, it’s far from a victimless crime. What are the punishments for energy theft? Anyone found guilty of energy theft will be convicted under Section 13 of the Theft Act and can be sentenced to a maximum of five years imprisonment and a fine of £2,000. This sentence will be even more severe if property is damaged and people are killed in an accident that has been caused by tampering with a gas or electricity supply. An incident in May this year saw 52-year-old Nadeem Mughal jailed for three years after after tampering with his gas meter. He risked blowing up a block of flats, endangering the lives of everyone living there, by twice tampering with his gas meter, which could have caused an explosion that would have affected up to 20 neighbours. Landlords denying you access to your meter. If you suspect someone is stealing gas, electricity, or both, you should contact stayenergysafe over the phone on 0800 023 2777 , or via this online form. Stayenergysafe is a partnership between Crimestoppers and all 96 of the UK’s energy providers, and all instances of energy theft can be reported anonymously and in complete confidence. You can also report the problem to the United Kingdom Revenue Protection Association (UKRPA) via its Report Online Fraud form. Again, all correspondence is completely confidential, but you must be able to provide an address for the alleged tampering in order for them to be able to investigate. It’s also worth contacting your energy supplier to explain the situation. If you smell gas or are worried that fumes containing carbon monoxide are escaping from a gas appliance, call the free Gas Emergency Services line immediately on 0800 111 999. To report a power cut, or damage to power lines, call the national Freephone number, 150.